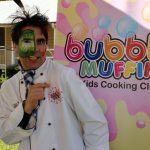 HE’S an entertainer, an educator and an advocate – and George the Farmer, the children’s character with a skyrocketing profile, will soon be visiting the region for the Moree on a Plate Food and Wine Festival. 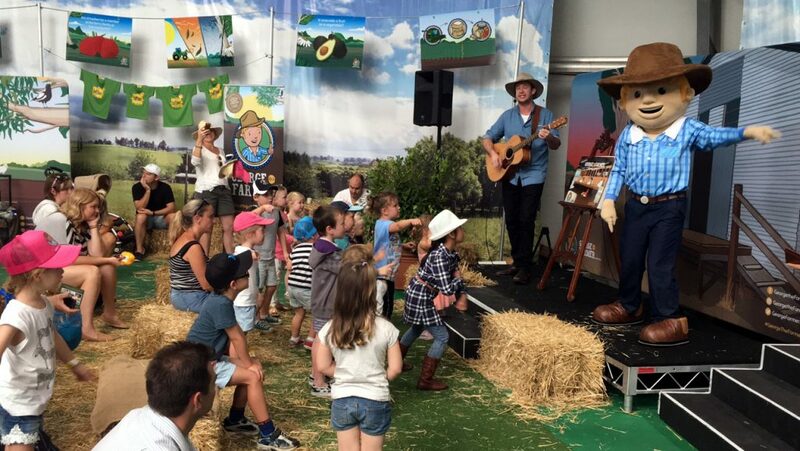 George, a life-size, plush character, will conduct live performances in the Landcare Kids’ Korner at this year’s event on Saturday, May 12 with singing, dancing, photo opportunities and giveaways all part of his repertoire. The brainchild of South Australian mother-of-three, Simone Kain and her business partner Ben Hood, George the Farmer was created after they identified that a children’s farming character was missing from the worldwide market. “I was lying in bed with my then two-and-a-half-year old son, George, with a massive pregnant belly full of my twin boys, trying to find some fun farming apps and books to keep him entertained,” Simone recalls. George the Farmer will entertain as well as educate kids at Moree on a Plate on May 12. “He was obsessed with the farm and loved to help my husband, Justin, whenever he could, but the only products that I could find were American or English and used different terminology. And with one-third of Year 6 students believing yoghurt originates from a plant, George the Farmer has also become an important vehicle in educating children – and consumers – as to where their food comes from, and to appreciate farmers’ efforts, skill and time. Since the interactive story app was first launched in 2014 picture books, CDs, toys, a stage show and curriculum-aligned teachers’ guides have followed. So too have the accolades, with the performers having recently received a swag of awards including 2017 Agrifutures Rural Women’s Award national runner-up, Google Australia Regional Online Hero and NAB Women’s Rural Entrepreneur of the Year, to name a few. Moree on a Plate will be George the Farmer’s first visit to the region, and Simone couldn’t be more thrilled. 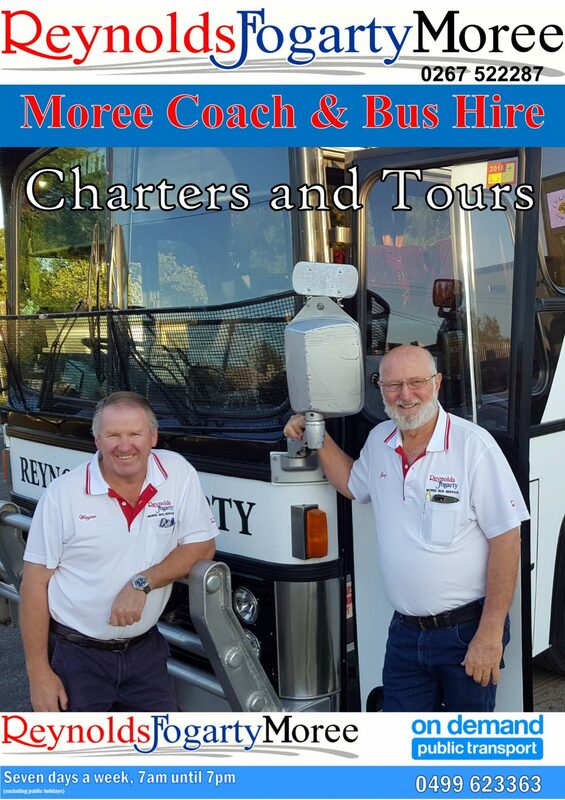 “Moree has been on our list of places to visit for some time. The best part about travelling to different communities, is meeting the people who make them. We love seeing people who are passionate about where they live and finding out why,” she said. She said the team, all self-described ‘foodies’, was also very much looking forward to sampling the delicious fare that is produced in the region. “George has a lot of fans from the north-west region and we just can’t wait to see them interacting, dancing and understanding the messages that we share about food and farming,” Simone said. Moree on a Plate president Bethany Kelly said she was thrilled to welcome such a high calibre, national act to the festival. 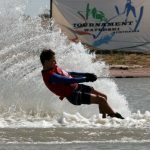 “Our Kids’ Korner has become a major drawcard, ensuring a fun-filled day for the whole family. The inclusion of George the Farmer is a huge coup and we can’t wait to introduce George to our local children,” Bethany said. 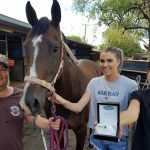 Bethany was also very grateful to Northern Slopes Landcare Association and the Regional Landcare Facilitator, through funding from the Australian Government’s National Landcare Program, for sponsoring George the Farmer. 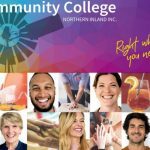 Moree on a Plate will be held on Saturday, May 12 at The Moree Secondary College, and also features a delicious line-up of regional producers, celebrity chef Ben O’Donoghue and a smorgasbord of entertainment the whole family can enjoy. Time: From 10am until 4pm. More information can be found at www.moreeonaplate.com.au or on facebook/moreeonaplate or @moap2400.